Welcome to The Pearl of Seneca Lake Bed and Breakfast! In the photo above, click on windows to see the room behind that window. Use the Return Arrow (<-) in the upper-left corner to return to this page. Additional room photos can be found on the Rooms & Rates page. Send a gift certificate for The Pearl! Click here to bring up the form to send in the mail or as an email. One of our recent guests, Angus Davidson, brought his personal drone, and launched it on an early spring morning from our front porch to take the two photos shown above. .
A view of an April sunrise from our second floor deck. 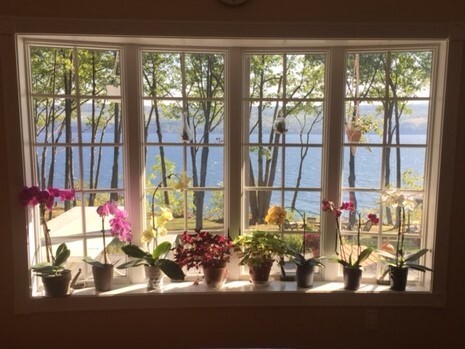 Below is a morning view of the lake through our kitchen window. At the beginning of 2019, 62% of this year’s reservations are from returning guests. 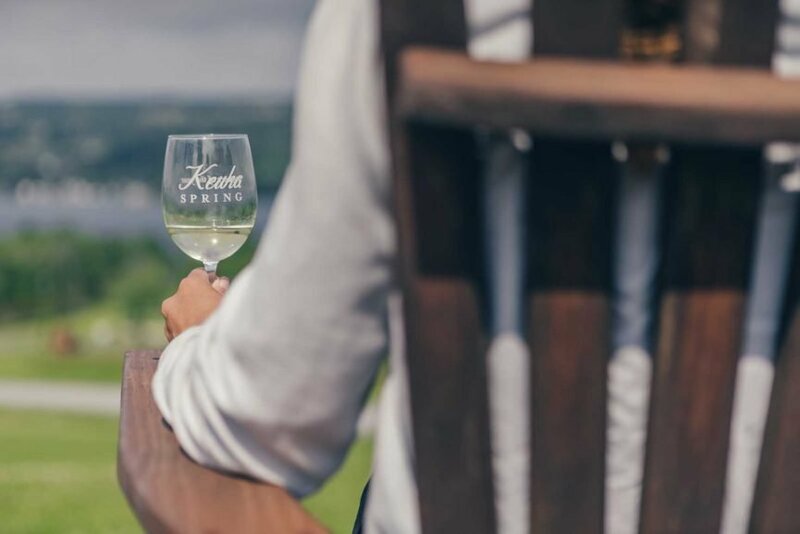 We are located in the heart of the Finger Lakes Wine and Beer Region. as well as 139 wineries and 52 breweries in the Finger Lakes area. 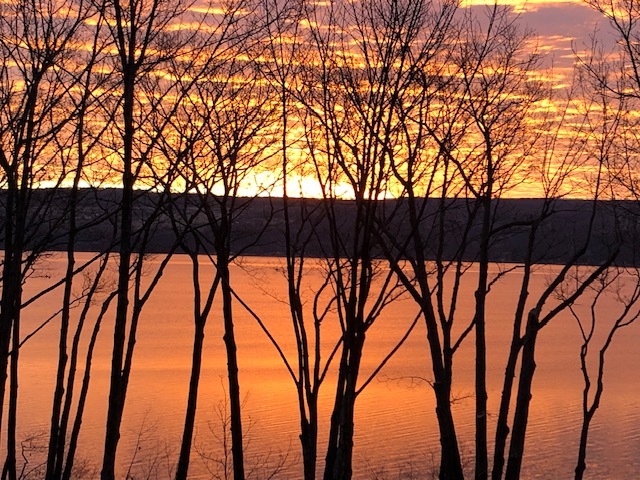 A recent blog tells the story of how the Finger Lakes is one of the most under-rated detinations in the country. Click on the image below to link to the article. 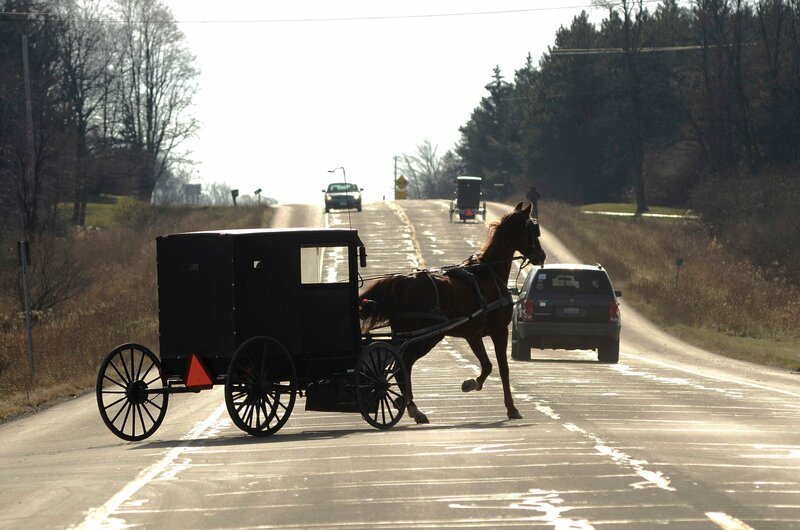 The New York Times recently ran an article on the dangers of Amish and Mennonite buggies on public roads. We enjoy having our wonderful Mennonite neighbors and their food and furniture stores in our area. Please be aware when you are on our back roads, their buggies may be moving at a much slower rate. Click on the image below to link to the article. …to know that it is time to book at The Pearl. the hospitality and privacy that you crave. 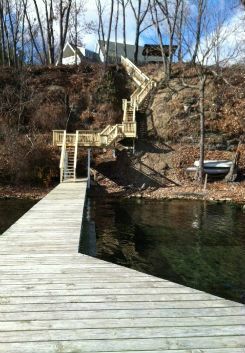 A couple of years ago, we installed a very sturdy new set of stairs down to the lake (right-hand photo at the top of this page), and the following summer we made a major upgrade to our driveway (photo to the right). It is now much smoother and stronger, and can more easily accommodate sport cars and even motorcycles. Heavy rains had caused a lot of damage to our old road, but the new road should hold up well for years to come. Finger Lakes B & B Association gift cards. We were surprised and honored to be featured in Frommer’s New York State Guide, which has given us an “exceptional” (3-star) rating, and has designated us as a “special find”, which means those places only insiders know about. Another surprise was being featured in The Finger Lakes Explorer’s Guide as “one of the best places to stay in and around west side Seneca Lake”. Another honor we received was to be featured as a chapter in Candy Harrington’s book: Resting Easy in the US / Unique Lodging Options for Wheelers and Slow Walkers, in which she provides a wonderful description of our handicap-accessible (ADA compliant) Merlot Room (which is also available to all guests). Click here to see a description of the book or to place an order. 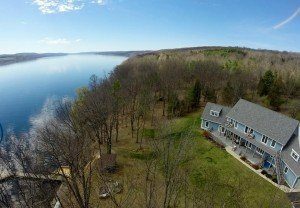 Candy also recently published a great article about The Pearl of Seneca Lake, which you can read here. 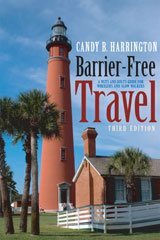 Then there is Candy’s new book: Barrier Free Travel; A Nuts And Bolts Guide For Wheelers And Slow Walkers, which you can examine and order here. Please share this information with anyone you know who may have a need for handicap-accessible accommodations. Check to the upper right for 94 unsolicited reviews from our guests. Although we welcome and appreciate Internet reviews, we never ask our guests to write a review. We know they had a great time, and they share their experience with their family and friends. We could not ask for more! As we begin our 15th. season at The Pearl, we’d like to remind our returning guests and potential new guests about what we have to offer, and about our commitment to making each guest stay a special experience. 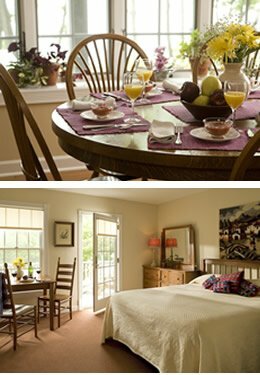 There are so many great experiences to be had, both at our B & B and in our region of the Finger Lakes. For a closer look, check out our latest blog.